The GS-Neutron MKII released November 2016 is an easy to use neutron detector with excellent gamma rejection. 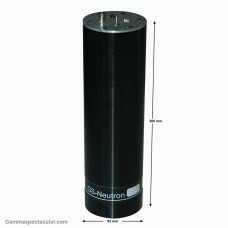 This challenging product has been under development for some time and we now have an excellent working product.. Our goal was to develop a useful neutron detector from relatively low cost Russian corona tubes (CHM-12 and others). These tubes are famously difficult to work with as they are terribly noisy and the neutron pulse is weak and short, many people have bought these tubes and given up after spending hours trying to get them to work. The new GS-Neutron-015 has a very stable circuit with a completely steady baseline and strong neutron pulse. 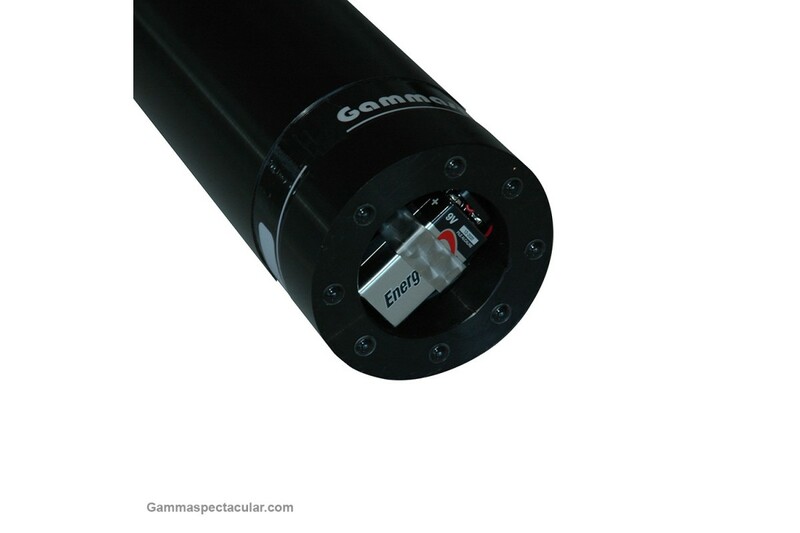 The detector is completely blind to gamma radiation and is not easily affected by EMF as many other detectors are. The preamplifier circuit has an adjustable lower limit threshold (LLD) and hysteresis setting to allow for fine tuning of noisy signals. 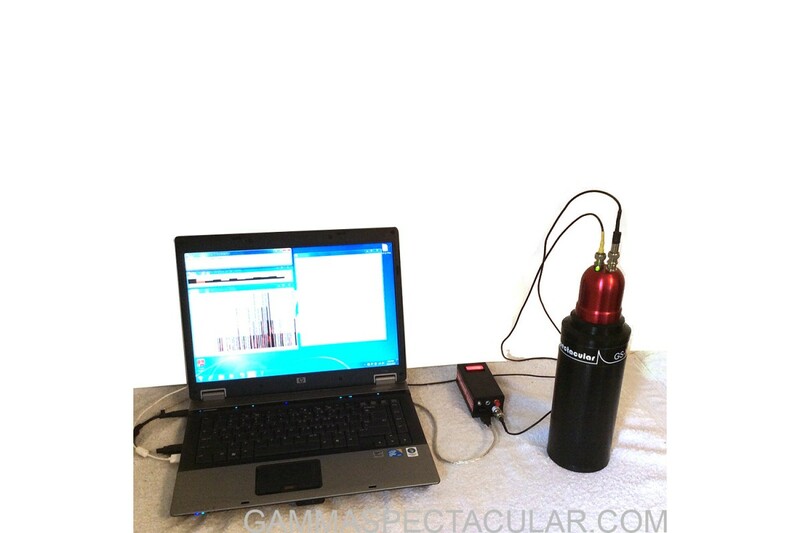 The detector comes supplied with one 9V battery, which will power the detector for approximately 50-100 hours. This detector is best powered by a GS-1100-PRO as it requires only 500V, as voltage drift is not an issue it will also work with a modified GS-1100A (send us a query if you want to do this mod). The signal output from this detector connects directly to the PC Line In port. It does not work well with the Mic port so for computers without a Line In port we recommend using an external USB sound card. Tube working life, not less than.................... 1500 h.
Shelf life, not less than 4 years. we shall do our best to test that the tubes are working, but we do not offer a calibration guarantee at this time. 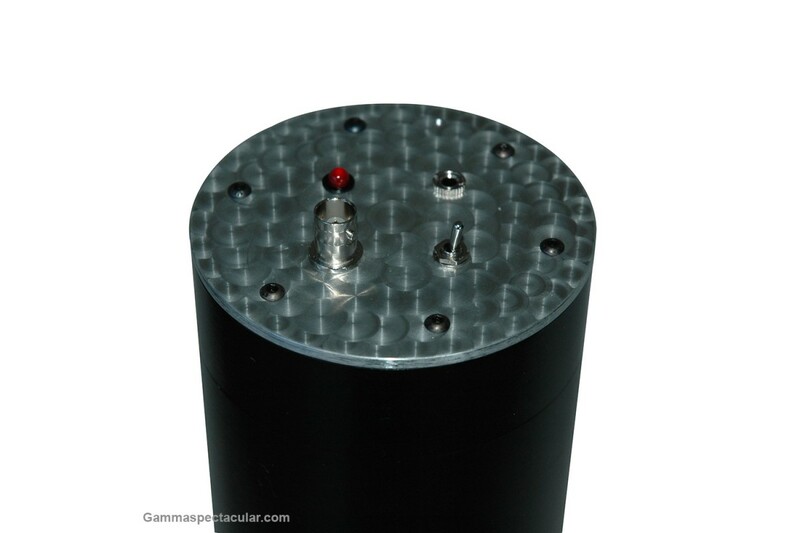 Hobbyists wanting to roll their own tubes, see separate listing for preamplifier board, click here. This preamplifier is suiteable for Russian corona counters, it uses a Schmidth trigger to discrim..